WHAT: SURVEY | WHERE: HARBOUR ISLAND, BAHAMAS | EXCAVATION: 2009-2010 | DATE OF WRECK: LATE 17TH - EARLY 18TH C. A.D. The concept of ‘maritime culture’ has become popular across numerous disciplines interested in examining human interactions with Earth’s waterways. Despite this popularity, maritime culture is a concept often taken for granted by anthropologists, archaeologists, and historians dealing with coastal and shipboard communities. What does this term mean, what does it encompass, and can it be identified as a distinct subset of a broader cultural identity? The Harbour Island Archaeological survey aims to answer these questions by examining material culture collected from an established maritime community with archaeological assemblages from other sites from the same period that are less focused on the oceans for subsistence and economic prosperity. With the 2009 field season, August 1 to August 23, procurement of that collection began. Project director Heather Hatch and her small team of fellow Texas A&M University graduate students, Claire Collins and Larkin Kennedy, surveyed four properties: two located within the oldest part of the settlement, and two others bordering this area. 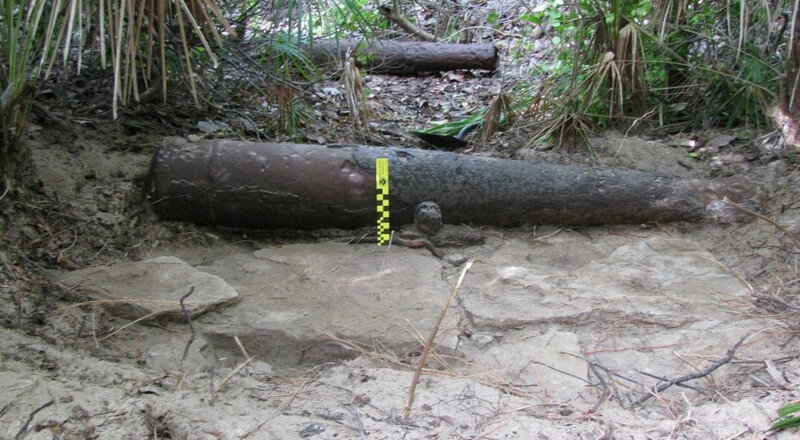 In addition the team examined and recorded six cannon located on the south-east point of the island that may be associated with an 18th century fort. Albury, P. 1979. “Some Aspects of Shipbuilding in the Bahamas.” Journal of the Bahamas Historical Society 1(1): 9-12. Craton, M., and G. Saunders. 1992. “Islanders in the Stream: A History of the Bahamian People.” Volume One: From Aboriginal Times to the End of Slavery. Athens: The University of Georgia Press. Craton, M., and G. Saunders. 1998. “Islanders in the Stream: A History of the Bahamian People.” Volume Two: From the Ending of Slavery to the Twenty-First Century. Athens: The University of Georgia Press. Fortescue, J.W., C. Headlam, and W. N. Sainsbury, eds. 1889-1930. Calendar of State Papers, Colonial Series, America and West Indies, 1574/1660-1733. Vols. 11, 25, 27, 29, 33, 36, 37. London: Her Majesty’s Stationary Office. Hatch, Heather E. “The Harbour Island Archaeological Survey – 2009 Season.” The INA Annual 2009: 94-101. Lawlor A., and J. Lawlor. 2008. The Harbour Island Story. Oxford: Macmillan Caribbean. National Archives of the Bahamas. 1977. Archives Exibition: The Pineapple Industry of the Bahamas: A Booklet of the Exhibition Held at the Art Gallery, Junkey Village, 14 February-27 February 1977. 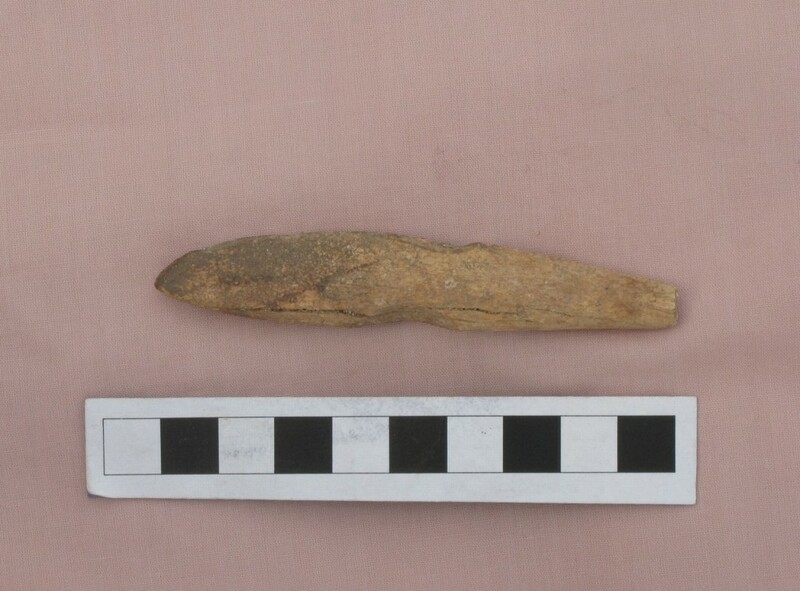 ABOVE: Bone artifact recovered from ST 004 at the Methodist House (Photo: INA, taken by Heather Hatch).